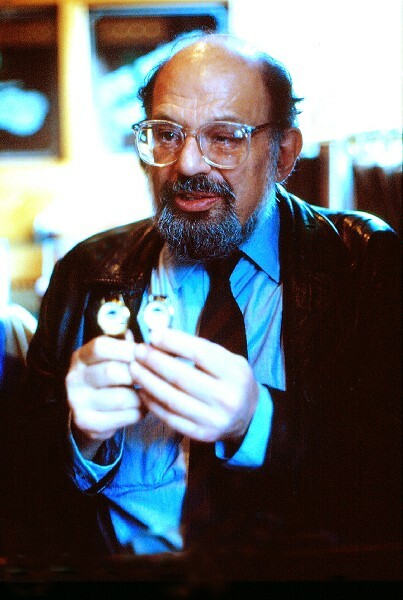 Ginsberg with two watches to tell time in the US and Japan which he was about to visit. Giuliano photo. 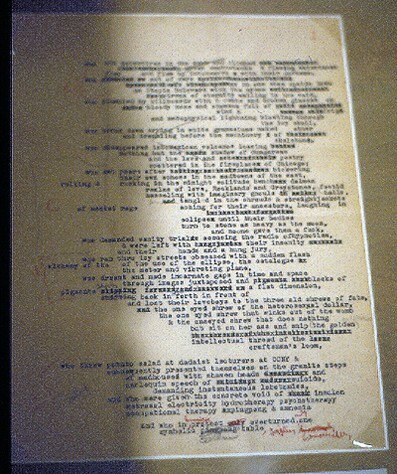 A page from Ginsberg’s manuscript for Howl. Giuliano photo. Annotated Ginsberg photo of Neil Cassady. Giuliano collection. Oscilliscope Films, the Triplex Cinema and the BIFF’s REEL FRIENDS Film Society, is proud to present a special evening on Friday, October 15 with directors Jeffrey Friedman and Rob Epstein and their latest film, HOWL. 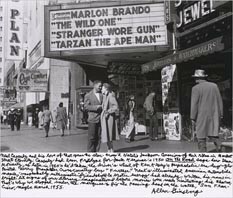 Composed from court records, interviews, and the infamous Allen Ginsberg poem HOWL, the film simultaneously weaves a portrait of a renegade artist breaking down barriers to find love and redemption, and an imaginative ride through a prophetic masterpiece that rocked a generation and was heard around the world. A Q&A with both Friedman and Epstein will follow the 7 pm screening and the directors will also introduce the 9 pm screening. James Franco stars as the young Allen Ginsberg—poet, counter-culture adventurer, and chronicler of the Beat Generation. In his famously confessional, leave-nothing-out style, Ginsberg recounts the road trips, love affairs, and search for personal liberation that led to the most timeless and electrifying work of his career: the poem HOWL. Meanwhile, in a San Francisco courtroom, HOWL is on trial. Prosecutor Ralph McIntosh (David Strathairn) sets out to prove that the book should be banned, while suave defense attorney Jake Ehrlich (Jon Hamm) argues fervently for freedom of speech and creative expression. The proceedings veer from the comically absurd to the passionate as a host of unusual witnesses (Jeff Daniels, Mary-Louise Parker, Treat Williams, Alessandro Nivola) pit generation against generation and art against fear in front of conservative Judge Clayton Horn (Bob Balaban). catered by Michael Ballon of Church Street Cafe. BIFF 2011 will be held June 2-5, and submissions open October 1, 2010.